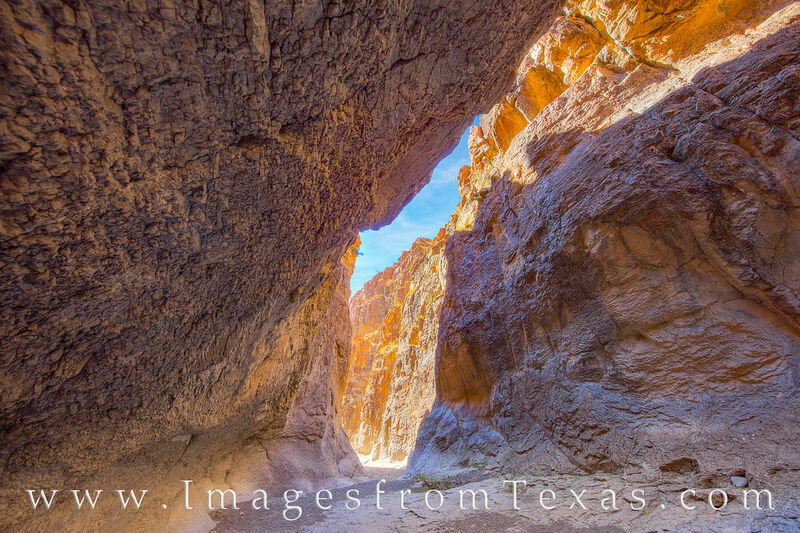 A rocky overhang offers shade on a spring day in Closed Canyon, a magnificent slot canyon in Big Bend Ranch State Park. Even in summer, the walls of this high canyon that cuts through the Colorado Mesa offer protection from the heat. Eventually, this canyon pours out into the Rio Grande that separates Texas and Mexico.